Hob. Time: 1 - 1 1/4 hours. 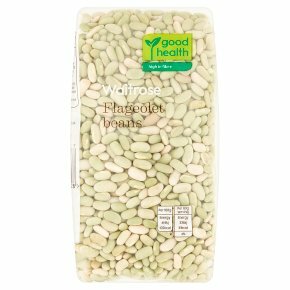 Allow approximately 40g of beans per 80g cooked serving. Wash thoroughly. Soak overnight in plenty of fresh cold water and refresh before cooking. Place drained soaked beans in a saucepan of fresh cold water. Bring to the boil and boil briskly for 10 minutes. Reduce heat and simmer gently for remaining time or until cooked and tender.